The Generalized Unified Power Flow Controller (GUPFC) is a Voltage Source Converter (VSC) based Flexible AC Transmission System (FACTS) controller for shunt and series compensation among the multiline transmission systems of a substation. The paper proposes a full model comprising of 60-pulse Gate Turn-Off thyristor VSC that is constructed becomes the GUPFC in digital simulation system and investigates the dynamic operation of control scheme for shunt and two series VSC for active and reactive power compensation and voltage stabilization of the electric grid network. 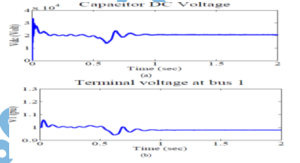 The complete digital simulation of the shunt VSC operating as a Static Synchronous Compensator (STATCOM) controlling voltage at bus and two series VSC operating as a Static Synchronous Series Capacitor (SSSC) controlling injected voltage, while keeping injected voltage in quadrature with current within the power system is performed in the MATLAB/Simulink environment using the Power System Block set (PSB). The GUPFC, control system scheme and the electric grid network are modeled by specific electric blocks from the power system block set. 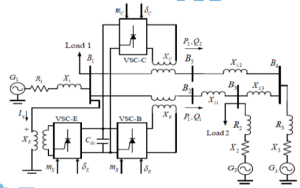 The controllers for the shunt VSC and two series VSCs are presented in this paper based on the decoupled current control strategy. The performance of GUPFC scheme connected to the 500-kV grid is evaluated. The proposed GUPFC controller scheme is fully validated by digital simulation. 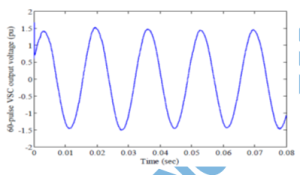 The paper presents and proposes a novel full 60-pulse GTO voltage source converter that it constructed becomes GUPFC FACTS devices. It comprises the full 60-pulse VSC-cascade models connected to the grid network through the coupling transformer. These full descriptive digital models are validated for voltage stabilization, active and reactive compensation and dynamically power flow control using three decoupled current control strategies. The control strategies implement decoupled current control switching technique to ensure accountability, minimum oscillatory behavior, minimum inherent phase locked loop time delay as well as system instability reduced impact due to a weak interconnected ac system and ensures full dynamic regulation of the bus voltage (VB), the series voltage injected and the dc link voltage Vdc. The 60-pulse VSC generates less harmonic distortion and reduces power quality problems in comparison to other converters such as (6,12,24 and 36) pulse. In the synchronous reference frame, a complete model of a GUPFC has been presented and control circuits for the shunt and two series converters have been described. The simulated results presented confirm that the performance of the proposed GUPFC is satisfactory for active and reactive power flow control and independent shunt reactive compensation. K. K. Sen, “SSSC-static synchronous series compensator. Theory, modeling and application”, IEEE Transactions on Power Delivery, Vol. 13, No. 1, pp. 241-246, January 1998. 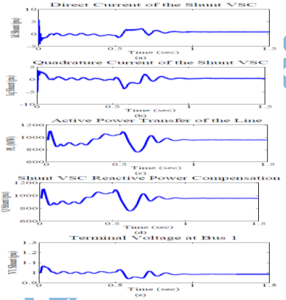 B. Fardanesh, B. Shperling, E. Uzunovic, and S. Zelingher, “Multi-Converter FACTS Devices: The Generalized Unified Power Flow Controller (GUPFC),” in IEEE 2000 PES Summer Meeting, Seattle, USA, July 2000. N. G. Hingorani and L. Gyugyi, “Understanding FACTS, Concepts and Technology of Flexible AC Transmission Systems. Pscataway, NJ: IEEE Press. 2000. A. H. Norouzi and A. M. Sharaf, Two Control Schemes to Enhance the Dynamic Performance of the Statcom and Sssc”, IEEE Transactions on Power Delivery, Vol. 20, No. 1, pp. 435-442, January 2005. 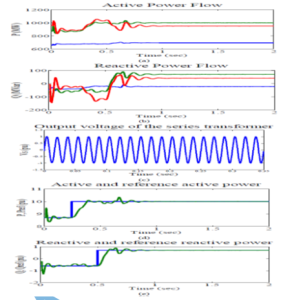 This entry was posted in Blog and tagged 60-Pulse GTO Thyristor Model VSC, Active and Reactive Compensation, Asokatechnologies, digital simulation, Digital Simulation of the Generalized Unified Power Flow Controller System with 60-Pulse GTO-Based Voltage Source Converter, FACTS, GUPFC, matlab/simulink, SSSC, STATCOM, UPFC, UPFC with 60-Pulse GTO-Based Voltage Source Converter, Voltage source converter, Voltage Stability. Bookmark the permalink.